This if for you, the one I love, the one from above, who fell into hell and forget all was well. I know now it’s hard to tell, as tears begin to swell, in this dark place you dwell. But there’s a light from within, flip the switch and you’ll begin to see in this darkness that you’re living was your only sin. I know your crying, so many lying, many in the place I used to be. But now I’m free to come and be who you need me to be. An extension of you, you see. Not different, not separate, not her or him, not he or she. There is only you in me. Me in you, that is true. But there is nothing you can do to change, rearrange, or undo the hard times that have come upon you. No magic ceremony, no mystical names can be shouted or touted, to teach you the lie from the truth. And all I can do is hope I’m getting through with these lines I’m now writing to you. Thoughts, thoughts, swelling around, hard to track down the smile hidden beneath so many frowns. “You’re no good”, “You’ll never ahead”, “You’re a loser, you’re better off dead”, “I’ll never know peace, I’ll always be broke.” Can’t you see these are the lies on which you choke. You are your words, your words are you. You can be what you want be, you can do what you want to do. But you don’t believe that is true. You forgot who you are, my son, my daughter, I know it’s hard when you exist in a country that is far. This place has erased your memory of me, which is really you, and you which is really me. This place has chased away your peace. This place where you find yourself to be, you molded and formed and created, you see. My child can’t you see, these words are not coming from you, who is me. You’ve believed you are something that you are not meant to be. You are gods, you see, just like me, who is you, who is me. Life and death is in the power of the mind and tongue, fears and tears ignorantly forced on the young. Cursed from birth, creating the sad image of what you’ve become. What happened to your life, my daughter, my son? What happened to rolling down a hill to just have fun, to holding hands, living life without a plan, laughing until your belly hurt? But now it’s only work, work, work, at a place that only brings you heartache and hurt. You can’t find the time to see that your job is but a sign of where you are in your life. Do you really believe there is no reason or rhyme, yet you choose to lose when victory in everything has been yours all the time. My child, my son, my daughter, my sad friend, in the end, you’ll see, that you’re me, and I am you, together we are one and what you do to others, and what you have done, is the reason you have begun to crawl, and are too tired to walk, and because you feint when you begin to run. Don’t live in the illusion, in the negative projection of what you have believed yourself to be. When in fact you are me, can’t you see? Close your eyes, look inside, that is where I hide, I, your true life. The beginning and end, my son, my daughter, my friend, that is who you are in your country that is far. And when you wake up, after your hell shakes up the spirit within your mind. You’ll be still, sitting on a high hill, with the sun shining like it’s never shined before. And you’ll ponder the words, I’ve asked you to ponder before, the words you forgot were words that were actually yours. Quite spiritual and motivation verse…thanks for sharing your poem. “… after climbing out of hell”! AMEN!! The way of LIFE IS ABOVE to the wise that he may depart from HELL BENEATH!! Awake thou that sleepest and arise from the dead and Christ shall give thee light!!! 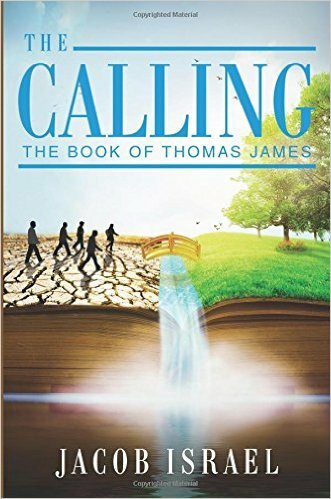 Jacob..The book the Calling was great..I passed it along to my daughter..I would love to get another signed copy..as I met you and your beautiful wife at Glory to Glory in Center Moiches..I have been so blessed! And yes..All things are possible to all that believe. Peace be still my brother. God bless you and your family. Well.. that’s it for today.. keep up the good work!